Under New Management - Duck Bus New Leaders! Aquaduck Safaris has been a household name on the Gold Coast for the last 22 years. The amphibious machines offer customers from all over the world, a unique Gold Coast city tour and river cruise. The amphibious vehicles are built from the hull of a Larc, converted into a new all in one safe and fun vehicle for water and road. Over 2.2 million people have enjoyed an Aquaduck tour. 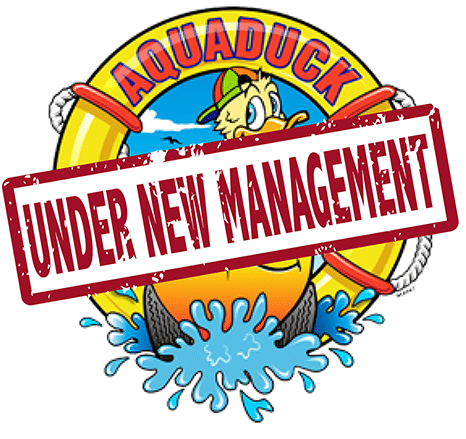 But who is behind Aquaduck and what are their plans for the future? Let’s learn a little more about the background and new owners of Aquaduck Safaris. In 1996 Aquaduck started out as a bus company called Surfing Safaris located in Orchid Avenue in downtown Surfers Paradise. Having had early success the then owners, the McIntyre Family added another machine to the fleet in 2001 and changed the name to Aquabus. This second bus looked a lot like a duck, hence the name Aquaduck was born. In 2003 the owners sold the business to the Cooley Family. The Cooley Family had many business interests including a large scale Gold Coast bakery business. The patriarch of the family Syd Cooley ran the business initially with support from his sons and grandsons. In 2004, the Cooley Family built another vehicle and changed the name to Aquaduck Safaris. In later years, Syd’s sons took over the business and it grew to 4 retail locations, workshop/Manufacturing plant and the 3 vehicles. In July 2018, the Cooley Family decided it was time for a new venture and sold the business to three very experienced tourism operators. The new owners are Sarah Colgate, ex-General Manager of iToursntix and iVenture Card, Tony Johnson of Paradise Jet boating, Chris Weide from iToursntix and iVenture Card Australia. With over 70 years in business experience between them, this team has extensive experience in growing tourism businesses. As the Gold Coast has over 5 million visitors a year who want to have a unique and truly local experience the new owners have big plans to grow sales for Aquaduck from a range of markets including Asia, China, Middle East and Europe. China is a key to the success of Aquaduck and customising tours for Chinese travellers is just the beginning. The commentary and tour offerings will be improved and modernized as will the reservations and online sales. Aquaduck has now matured into a Gold Coast tourism business with growth opportunities aplenty.